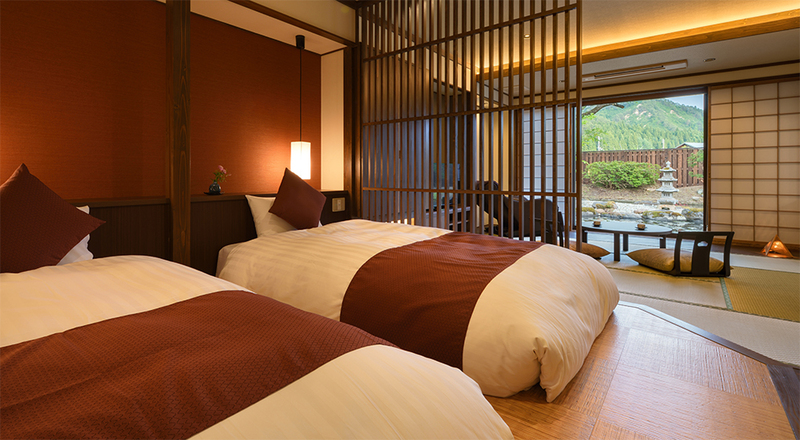 Three new rooms, added in 2016, surrounded by cherry trees and a lotus pond, are a fusion of Japanese and Western style and each has a semi open-air hot spring. 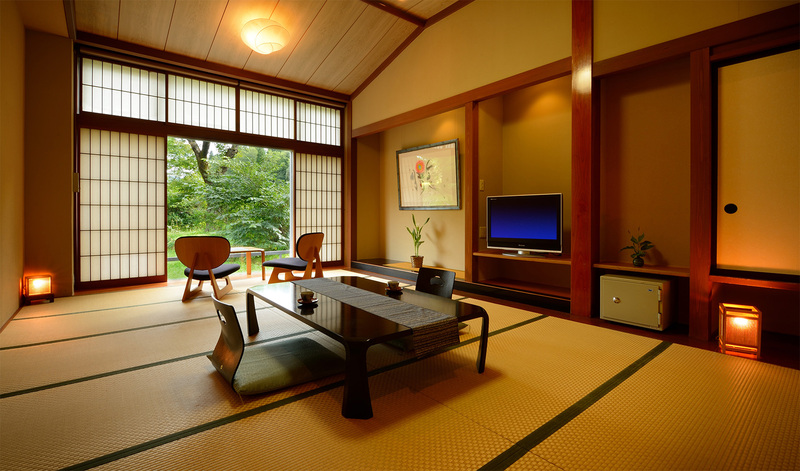 Quiet rooms on the south side of the main building are spread over three floors and look out onto a pond and the Onogawa river, famous for its fireflies in the summer months. 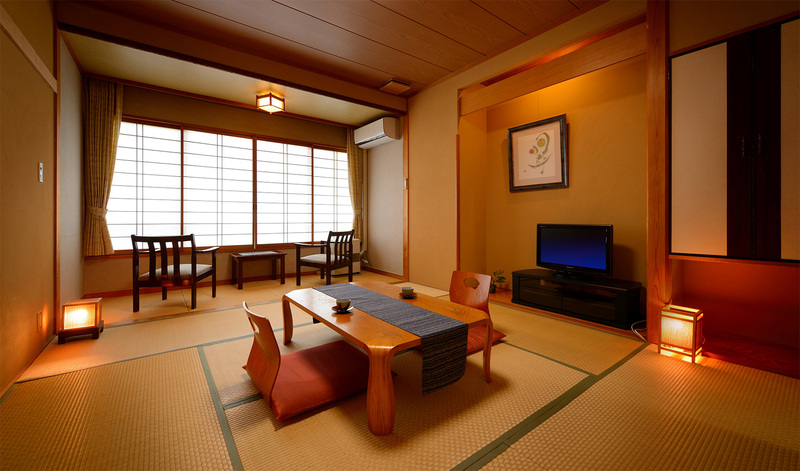 Twelve 8-12 tatami mat rooms in the Bifukan area of the hotel, popular for those who want to relax with their family. 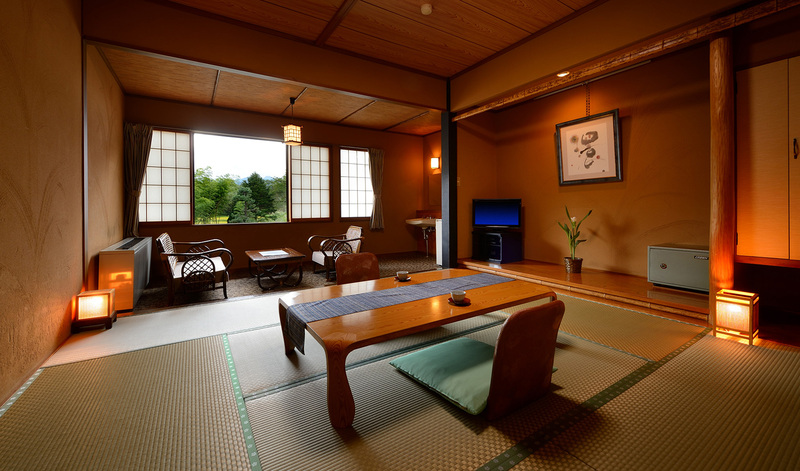 In the most historical section of the inn there are pure Japanese style rooms with a large enclosed veranda from where one can enjoy the mountain side view of the inner garden.